Alumni contributions are at the heart of everything we do. Our communications, events and support for the chapter all rely on gifts to our annual fund. And, as alumni, we play a critical role in making sure our Chapter lives on. Your gift makes a significant impact on these efforts. Other contribution amounts are accepted above and beyond the dues payment. We appreciate your support! Please pay your ANNUAL ALUMNI dues today. For those members who wish to have an enduring impact on the Beta Sigma Beta legacy, we are now offering a new Lifetime Membership program. With your contribution of $2,490, you will be permanently recognized year-after-year for your contribution to the chapter. 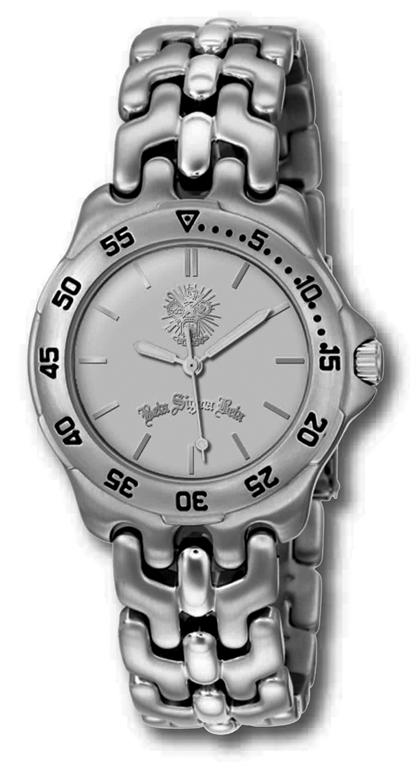 In addition, you will receive an exclusive Beta Sig Crest Watch; a gift of appreciation for your generosity and commitment. Here's your chance to show your Beta Sig pride. Become a LIFETIME MEMBER today. Beta Sigma Beta would like to thank the following members, listed by graduate year, for their lifelong commitment to the chapter. Their generosity goes a long way to ensuring the Beta Sigma Beta legacy continues. To add your name to this list, and receive your exclusive Beta Sig Crest Watch, please pay your LIFETIME MEMBERSHIP DUES of $2,490 today.